The table below provides counts of persons by cause of death. Within half a year of leaving a residential facility, two in five people ended up in an emergency room, one in 10 went to the Oregon State Hospital and one in 20 became homeless, according to an Oregon Health Authority review released in February. The state’s analysis tracked outcomes for more than 1,000 people. Some individuals experienced multiple adverse consequences after moving. “This is the most comprehensive data that we’ve seen and, to me, this data indicates a significant number of very bad outcomes,” said Disability Rights Oregon attorney Sarah Radcliffe, who first requested a state analysis in August. Oregon Health Authority director Patrick Allen said he would reserve judgment until a consultant he would like to hire compares Oregon’s results to those of other states. But he readily acknowledged that the agency’s $100 million-per-year residential care program is troubled. While the health authority has tracked patient health data for decades, it took a recent outcry over the agency’s attempt to move hundreds of people with severe mental illness out of residential facilities for the state to analyze it. The health authority since 2016 has been trying to empty beds in residential facilities, part of an effort to meet the demands of an agreement struck with the U.S. Department of Justice to reform the mental health system. Oregon hired Kepro, a Pennsylvania-based contractor, to check which of the approximately 1,600 people in more than 200 residential facilities across the state had a medically qualifying reason to be there. But some of Kepro’s decisions put people in harm’s way. The Oregonian/OregonLive in November found three people seriously injured following move-outs prompted by Kepro’s decisions that people didn’t qualify for Medicaid. 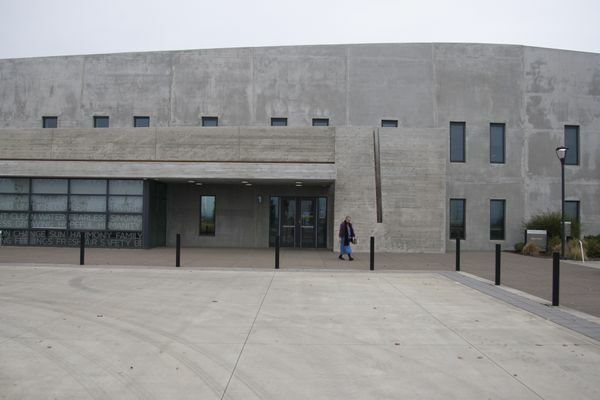 One person was hospitalized repeatedly after having to leave a locked facility. Another tried to get to a neighbor’s door and got bitten in the face by a dog and repeatedly threatened staff and other residents. Another was airlifted to a hospital after not taking his medications and drinking bleach, his family said. Despite acknowledging that problems were driven at least in part by the $27 million contract with Kepro, the health authority doesn’t plan to analyze what happened specifically to the people discharged after a decision by the company. The state has opted instead to look at health outcomes for people who left a facility for any reason. The state reviewed outcomes for 1,004 people who left a facility between July 2017 to June 2018. Some moved out of specialized homes altogether, while others moved from one type of facility to another. About 400 ended up in emergency rooms within six months, indicating those people weren’t connected to primary care physicians, Radcliffe said. Fifty-nine became homeless, indicating people may have been discharged straight into the streets. Most of the people who became homeless had left an adult foster home or unlocked residential treatment facility – the least-restrictive levels of care. Radcliffe said that indicates the agency pushed people out of facilities without first developing the necessary housing and connecting people with services. The data also reveal a revolving door at the Oregon State Hospital. One of the key reasons for the state’s effort to move people out of residential facilities is to ensure that individuals leaving the state hospital — the highest and most expensive level of care for people with mental illness — have a cheaper place to land. But as people filtered out of the state hospital into newly opened slots at residential facilities, some of the individuals who were kicked out of residential facilities ended up at the state hospital. In all, state officials counted 90 people who moved to the state hospital after first living in residential facilities. Meanwhile, the agency’s analysis found that 34 people had died within six months of moving from one facility to another, and one died after moving out of licensed residential care. Five people committed suicide, 29 died of natural causes, and one died of causes that the state is still investigating. In the absence of any benchmarks, Allen said it’s hard to say how poorly the program is performing. “People with serious mental illness are extremely fragile,” he said. Allen said hiring a consultant to analyze the data would be a “top priority” for the new behavioral director, Steve Allen, who will start at the end of the month. While the agency acknowledged the value of the data, it has already delayed release of the next report. Originally slated for this spring, it will likely be produced in the fall, England said. The licensed residential program has been in existence since the mid-1980s and, as of 2017, it provided housing to about 2,200 people a year. Operations cost about $74 million annually in federal funds and $24 million from the state, according to data provided by the agency. In addition, officials spend about $9.3 million to help people with severe mental illness find a place to live. Allen has announced numerous agency actions designed to better monitor Kepro and ensure people with severe mental illness get the support they need when moving out of a facility. The health authority since December has been reviewing Kepro’s Medicaid eligibility decisions, reversing 44 of 88 so far this year, and granting 180-day extensions for another 37 to give people time to transition. The agency upheld only seven Kepro decisions to move someone out. The company’s contract with the state is set to end June and won’t be extended, the agency said. The health authority this year also removed a contract provision promising Kepro a bonus for each person moved out of a locked facility. The agency has assigned one person to monitor patient transitions and another to focus on trends in the use of emergency departments.